Albertosaurus, top predator of late cretaceous Canada, is one of the most well known theropods among the vast majority of fragmentary ones. Albertosaurus got its name from the province of Canada in which it was discovered. The top predator of its region, the “Alberta Lizard” had no other predators big enough to compete for resources in the northern parts of North America. Albertosaurus shows a wonderful example in the line of Tyrannosaur evolution elucidating a transition from a lithe and streamlined form into a more heavily built predator like Daspletosaurus and eventually Tyrannosaurus. The type specimen of Albertosaurus consists of a partial skull. This specimen came from the Horseshoe Canyon Formation near the Red Deer River in Alberta, Canada. Paleontologist, Joseph Burr Tyrell, uncovered the type specimen; however, he could only partially secure the find, due to lack of specialized equipment, and acquired only a part of the skull. In 1889 Tyrell’s colleague, Thomas Chesmer Weston, found another specimen, this time being an incomplete skull smaller than the first and located nearby. These two specimens were placed under the species, Laelaps incrassatus, named by Edward Drinker Cope in 1892. The name Laelaps had been previously attributed to a kind of mite invalidating the name, this false name is commonly referred to as nomen dubium. Othniel Charles Marsh, Cope’s rival, renamed the genus Dryptosaurus in 1877. Edward Drinker Cope refused to acknowledge his rival’s decision and continued to use Laelaps as a legitimate name. Many remains were uncovered after the fact, going unnamed until Henry Fairfield Osborn, a well-known American Paleontologist, coined the name Albertosaurus in 1905 when he wrote his description of the much larger, Tyrannosaurus rex. 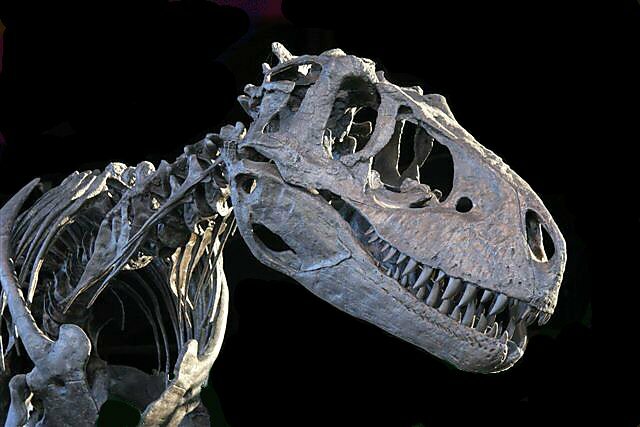 In the year 1910, famed paleontologist, Barnum Brown, uncovered the remains of a mass graveyard of Albertosaurus near the Red Deer River. Due to the large amount of individuals, Brown and his expedition were unable to collect all of the specimens. They took the important identifying fossils, which told them that at the site lay at least nine individuals. All in all, 1,128 Albertosaurus fossils had been uncovered from the bone-bed; the largest concentration of Theropod fossils ever found in Cretaceous sediments, which is why so much is known about this animal’s biology. Cast of Albertosaurus from the Rocky Mountain Dinosaur Resource Center in Woodland Park. Colorado. ​Due to the amount of sizes and ages of the individuals discovered near Red Deer River, the ontogenetic cycles of growth for Albertosaurus is relatively well known. Remains approximately two years of age, measuring six feet long and weighing no less than one hundred and ten pounds is the youngest individual. The eldest specimen found consisted of a length of thirty-three feet and might have been twenty-eight years of age at the time of death. Growth and death rates of the animals in the bone-yard of Red Deer River compared with the other Albertosaurus finds suggest that the animal grew at an exceedingly fast rate along a four-year period ending at approximately age sixteen which began the onset of sexual maturity. This growth is unlike most Avians and is more akin to the growth rates of large mammals. These statistics also revealed a hypothesis concerning the mortality rate. The hypothesis suggests that the hatchlings had a rather high mortality rate, explaining the lack of juvenile fossils. Then, after two years of growth, the animals were much larger than many of the predators in its ecosystem and death mortality decreased sharply. However, the mortality rate again increased, doubling at around the age of twelve and then doubling again around the age of sexual maturity. The find of dozens of specimens in the bone-bed of the Red Deer River might suggest that the animals hunted together in packs. This hypothesis has been suggested for many theropods found together as well (Like Giganotosaurus). The opposing view suggests they may have died due to environmental reasons and then deposited together after death. Canadian Paleontologist, Philip J. Currie, suggests that the legs of the younger Albertosaurus helped them draw the prey towards the adults that were slower and more powerful. Currie speculates the young Albertosaurus, having different adaptations compared with the adults, had a different way of life similar to the Komodo dragon of the present (young live the lives of insectivores, while adults are the largest predators on their island, attacking and killing water buffalo). Due to the fact that behavior does not fossilize, Currie’s hypothesis is speculation and cannot be tested. However, what can be observed is what it lived with and what it may have hunted. All Albertosaurus material is known from Canada, most of which is from the Horseshoe Canyon Formation housing fossils from the Maastrichtian age of the Cretaceous period. Other species found in and around this area and time include; Didelphodon, Champsosaurus, Saurolophus, Hypacrosaurus, Albertonykus, Pachyrhinosaurus, Ornithomimus, Stegoceras, and many more. Albertosaurus was probably the top predator of this ecosystem and likely preyed on most of these animals. However, Pachyrhinosaurus grew to be one of the largest ceratopsian dinosaurs in existence, surpassed only by Triceratops/Titanoceratops, and could give even an adult Albertosaurus trouble (potential evidence for pack behavior). 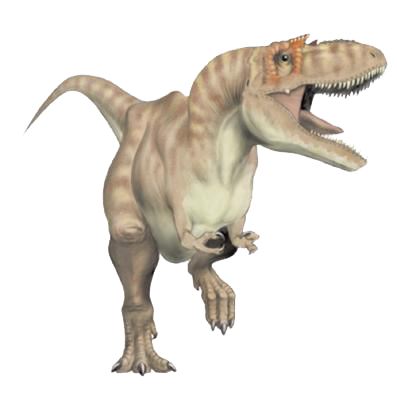 Albertosaurus may have lived with its cousins Gorgosaurus and Daspletosaurus. 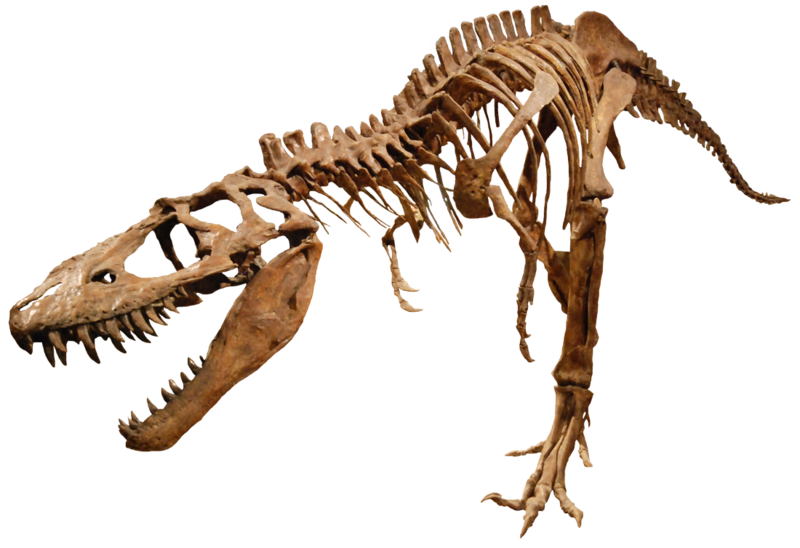 Albertosaurus is placed inside the subfamily, Albertosaurinae, the only other member being Gorgosaurus. Albertosaurinae houses animals of a slim build with a capacity for quick movements, unlike their descendants; Daspletosaurus, Teratophoneus, Bistahieversor, Tyrannosaurus, and Tarbosaurus. Although this predator was at the top of the food chain, environmental disasters have no bias and kill without mercy. Whether the mass of Albertosaurus fell prey to the elements, or each other, they all ended up in the same place. To be uncovered by our species many of millions of years later. We learn through these fossils from the earth’s past to discover how it was at a previous time to help us understand the earth as it is today.